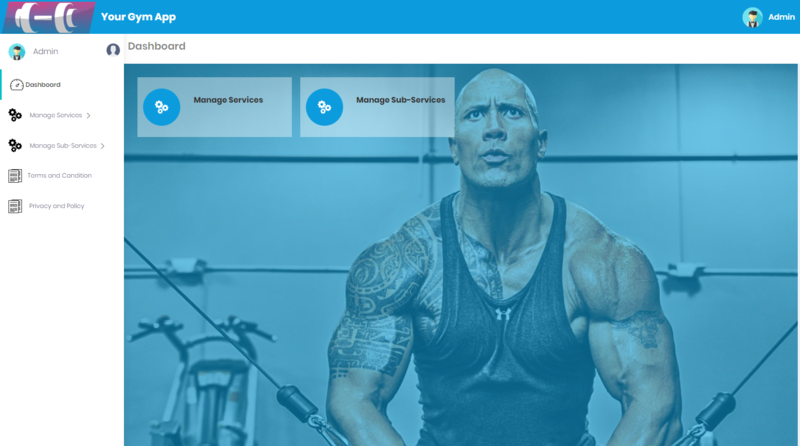 Your GYM App is an android app, completely developed with backend Admin Panel and Webservices APIs. 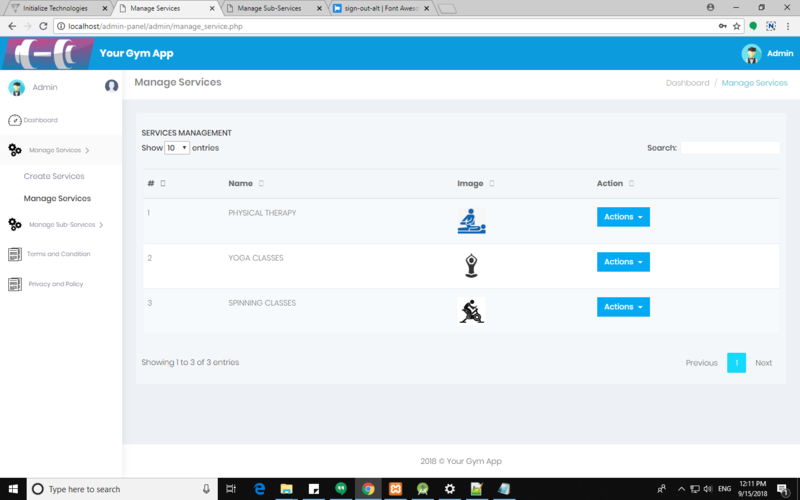 GYM owners can add all of their sessions and programs with their timing which they offer in their GYM, they can add their contact and about information to get connected with the user. 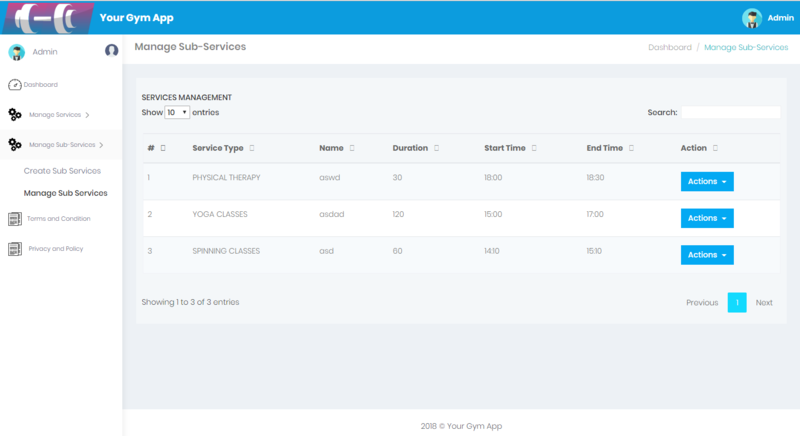 Your GYM app allows user to login to the app and check out the latest sessions offered by their GYM trainer. Book Appointment for their sessions and can see all their booked programs and their timings so that they didn't miss out one. 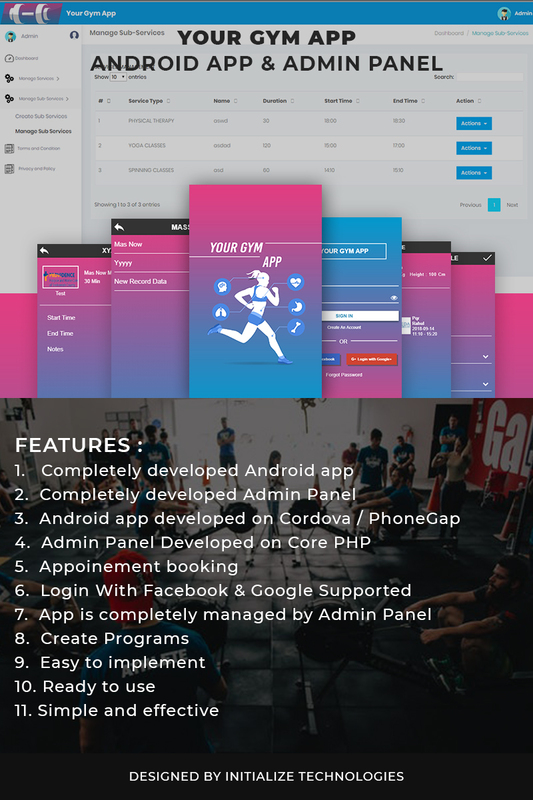 Android App Developed in Phonegap / Cordova hybrid mobile app development technology, Admin Panel developed in core PHP and Web APIs for the mobile app is also developed in core PHP. 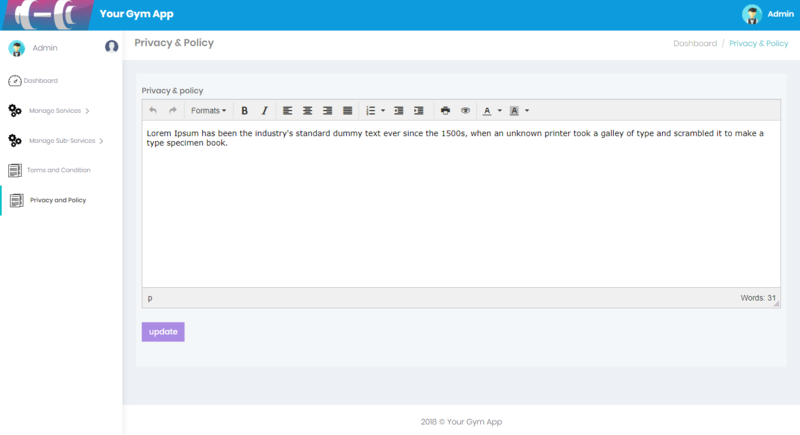 The system is completely developed and can be easily used from day one. 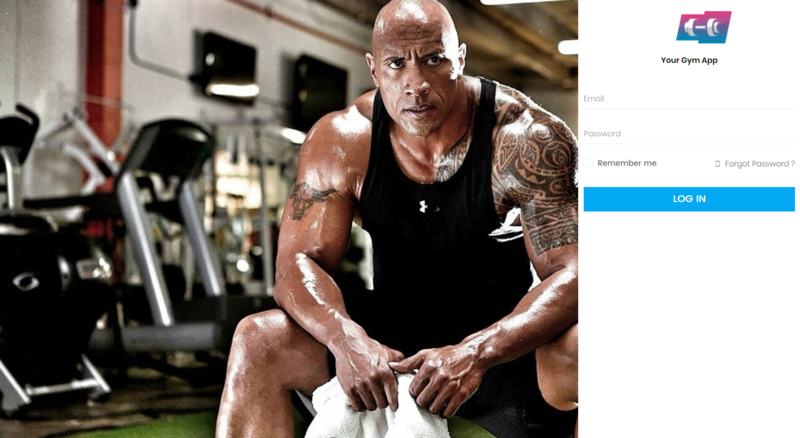 From the team behind Apache Cordova, the Adobe PhoneGap framework is an open source distribution of Cordova — providing the advantage of technology created by a diverse team of pros along with a robust developer community — plus access to the PhoneGap toolset, so you can get to mobile faster. With Different PHP configurations such as register_globals (should be ON) and safe_mode restrictions.